Leningrad (St. Petersburg) philharmonic orchestra was founded in 1882. 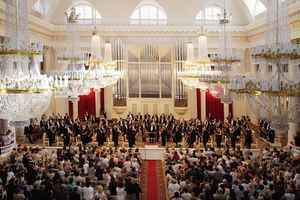 It is the oldest and best known symphonic orchestra from Saint-Petersburg. Not to be confused with Leningrad Academic Philharmonic Symphony Orchestra and other Leningrad / St. Petersburg orchestras.